Tony Hawk’s Pro Skater 5 was in playable form in Activision’s booth at the GameStop Expo, and solely based on the brief time we’ve had with it, it’s hard to not contain excitement. 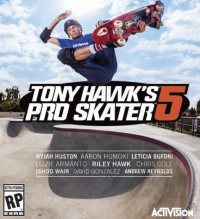 The game makes itself out to be the true sequel and successor to Tony Hawk’s Pro Skater 4, which came out almost 13 years ago. While we don’t expect the world of skateboarding to completely take the world by storm again (at least not the same way it did when the millennium hit), there’s reason to believe a return to its roots would be widely appreciated, especially after how awesome Tony Hawk’s Pro Skater HD turned out to be. 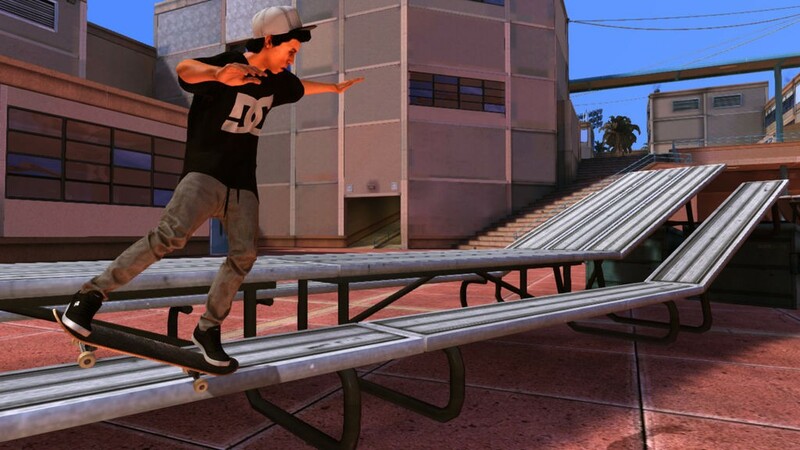 Tony Hawk’s Pro Skater 5 brings the series back to its numerical roots with an art style that really accentuates the arcade feel veterans of the series should be used to. 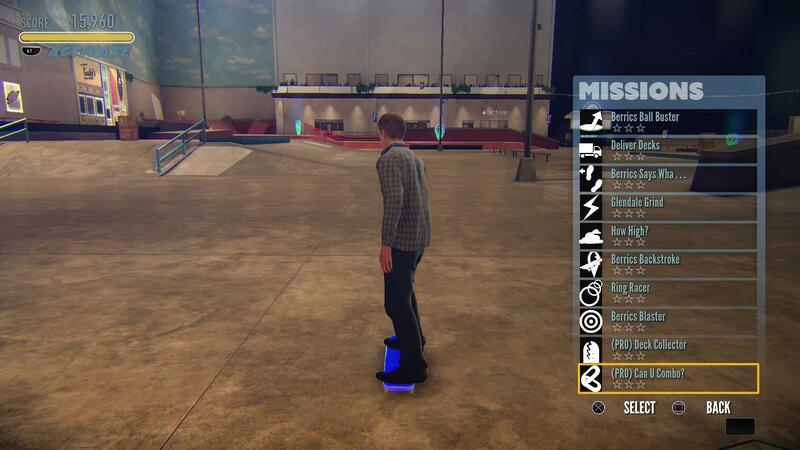 With new courses, along with some old (namely the Hangar), it’s Tony Hawk the way fans should expect it to be. The Hawk is back the way we remember him… but older. The demo featured the bird-man, Tony Hawk himself, skating along a city rooftop. It was in free skate mode, so there was no need to worry about a time limit, and it allowed us to reorient ourselves with the game’s controls which are pretty much the same as they were for anybody that’s played any PlayStation or Xbox version of the game. We had our hands on the PS4 version, and it was all familiar. You gain speed and prepare for an ollie with X, perform a flip with square in combination with a direction on the control pad or analog stick, as well as a grab with the circle button and any direction on the analog stick. Grinding is also still done with the triangle button, and the combo-setting “manual” first introduced in Tony Hawk’s Pro Skater 2 of course makes its return. The rooftop we ground on was pretty awesome, as it was extremely over the top. There was a good amount of variety in design as the rooftop treats vertical and street riders well, but if you aren’t careful, you can fall off the roof, and eventually respawn near where the fall happened. So if you wanted to be a real riding rebel, you can ollie off the roof, do a wall ride, and quickly jump off the wall and back on the roof to earn massive point totals. We eventually got into a good enough groove to gain our special and did some of Hawk’s primary special tricks such as the Sacktap and 900. We had to do some rough experimenting to figure out how to do them, but they’re just as satisfying as they were a decade ago, as the controls seem as crisp ever. Tony Hawk’s Pro Skater 5 is due out at the end of the month, and we hope to have a review done soon. For more on this and other games at the GameStop Expo, keep it locked on SmashPad.